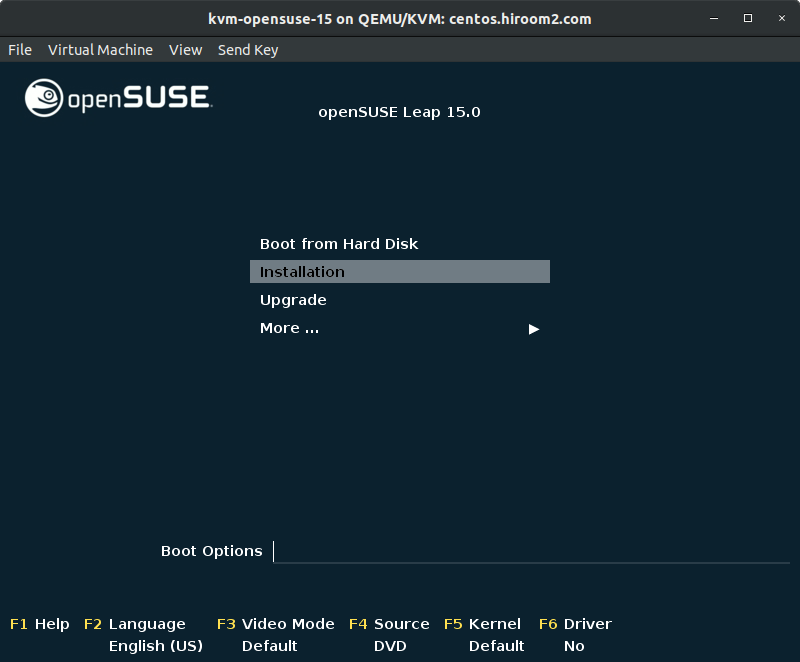 This article will describe installing OpenSUSE Leap 15 and upgrading from OpenSUSE Leap 42 to OpenSUSE Leap 15. GRUB menu is displayed when booting iso. 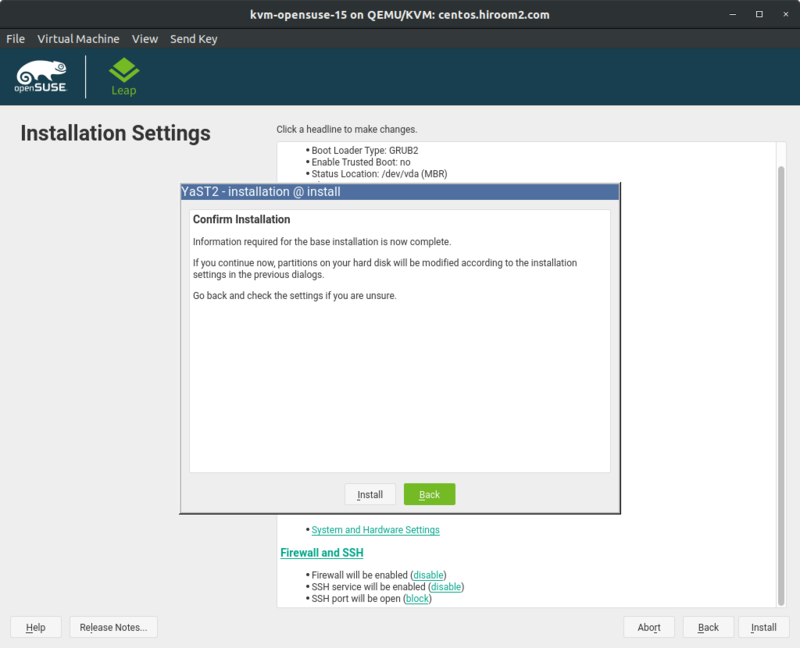 Select "Installation". 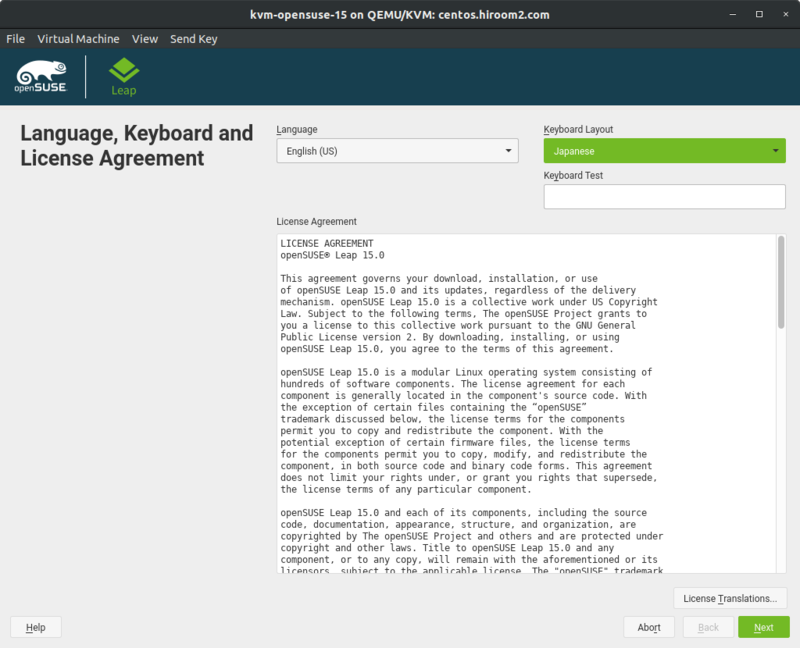 Select language and keyboard layout, and agree with license. Click "Next". Select desktop environment. 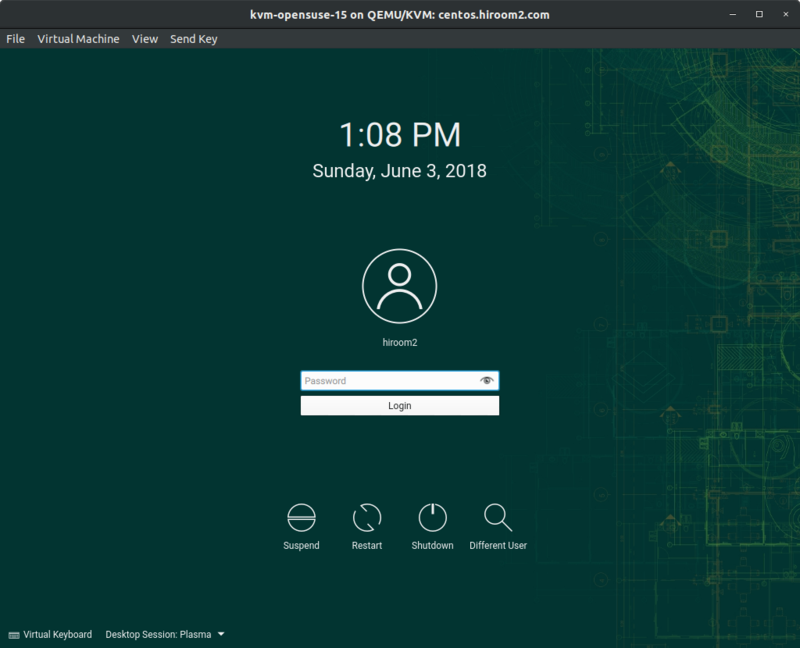 This article uses KDE. 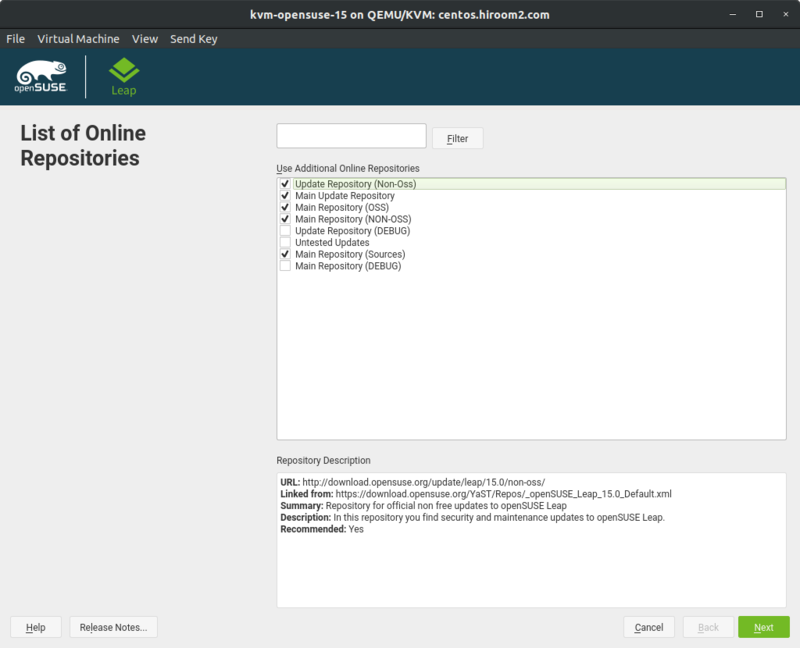 You can select repository with "Configure Online Repositories". Click "Configure Online Repositories". This article selects "Main Repository (Sources)" which is a source code repository. Click "Next". Repositories are selected. Click "Next". 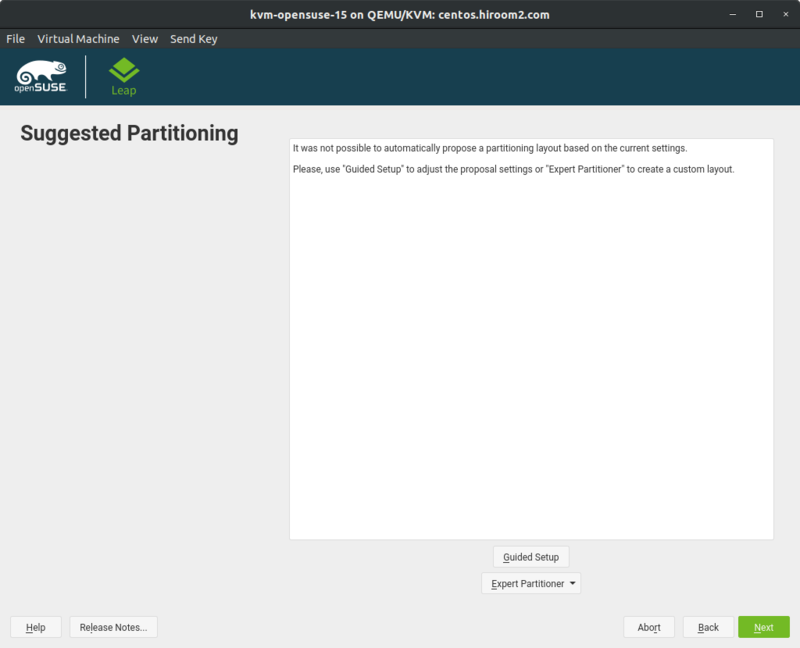 Create partition with "Guided Setup". Click "Guided Setup". This article uses LVM with selecting "Enable Logical Volume Management (LVM)". Click "Next". 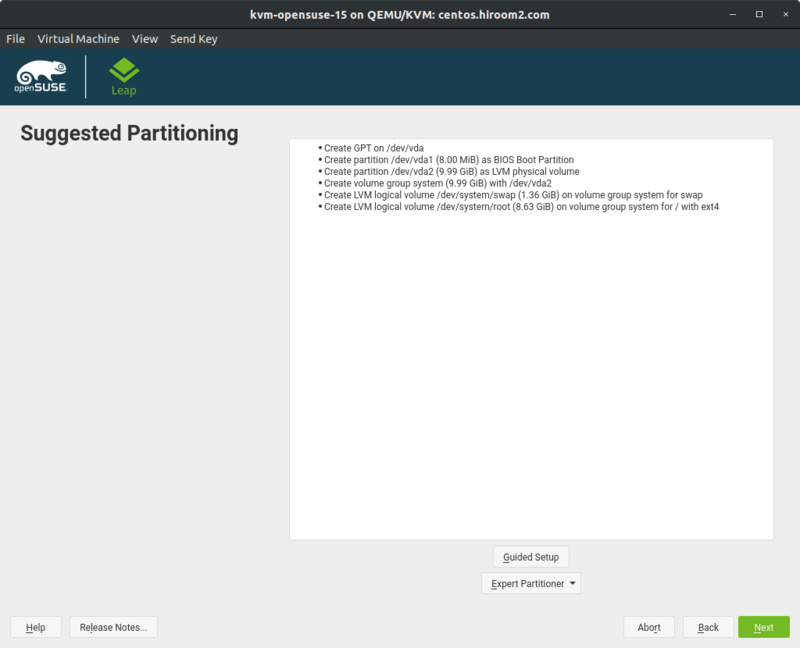 This article uses ext4 filesystem and separates swap volume. 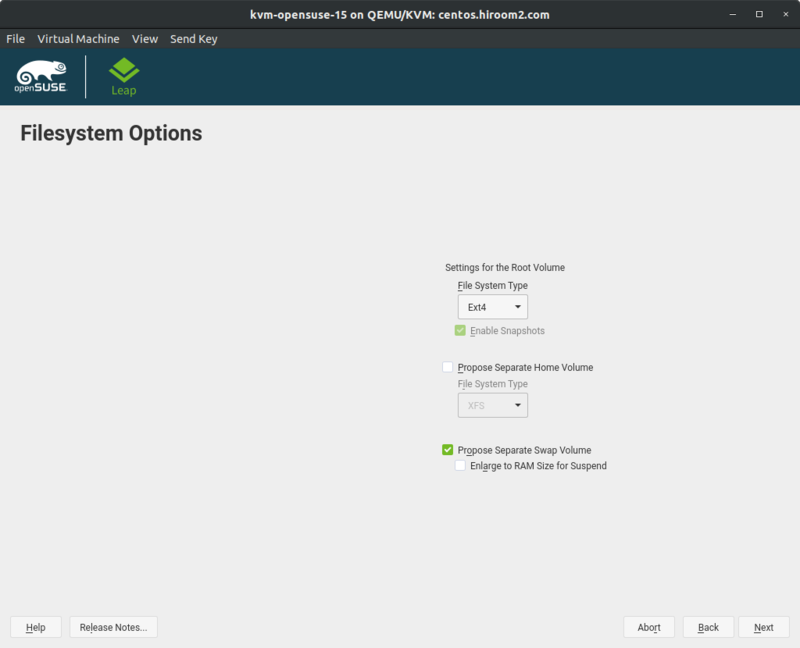 Set "Filesystem Type" to "Ext4" and select "Propose Separate Swap Volume". Click "Next". Partition is created. Click "Next". Set time zone. Click your location on world map. Add user who can login to this machine. Click "Next". Set detailed items with clicking it. This article will enable SSH service and open SSH port. SSH service is enabled and SSH port is opened. Click "Install". Confirmation is displayed. Click "Install". Installation is starting. Machine will be restarted after installation is completed. Please inject installation media. 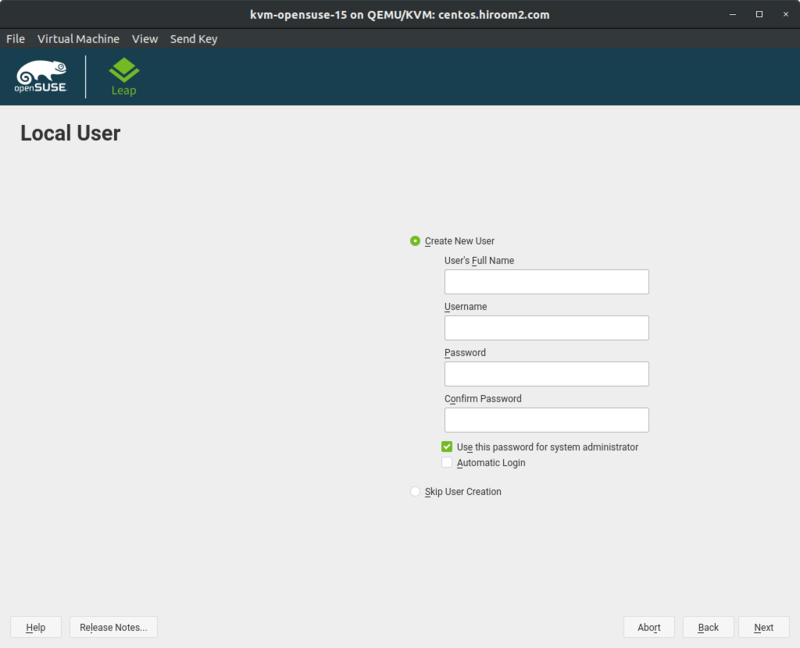 After restarting, Login is displayed. Login with added user. 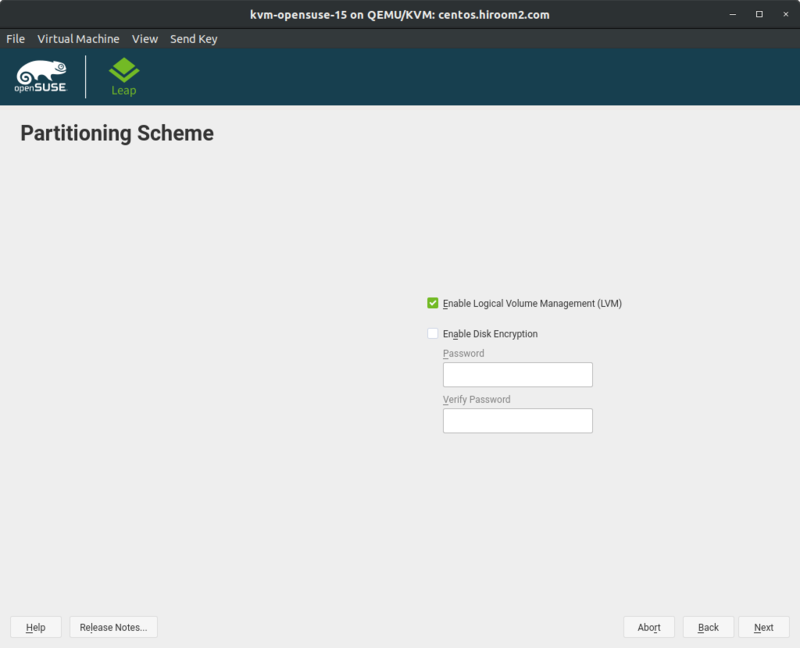 Upgrade OpenSUSE Leap 42 and change systemd target to multi-user.target. Change repository from Leap 42 to Leap 15 and upgrade with "zypper dup". After upgrade, change systemd target to graphical.target. 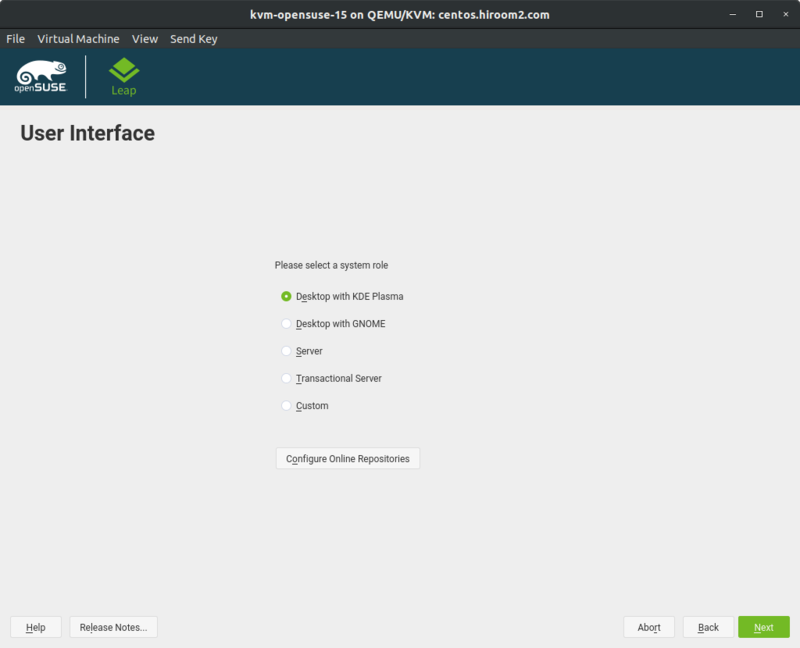 After reboot, OpenSUSE Leap 15 is running. 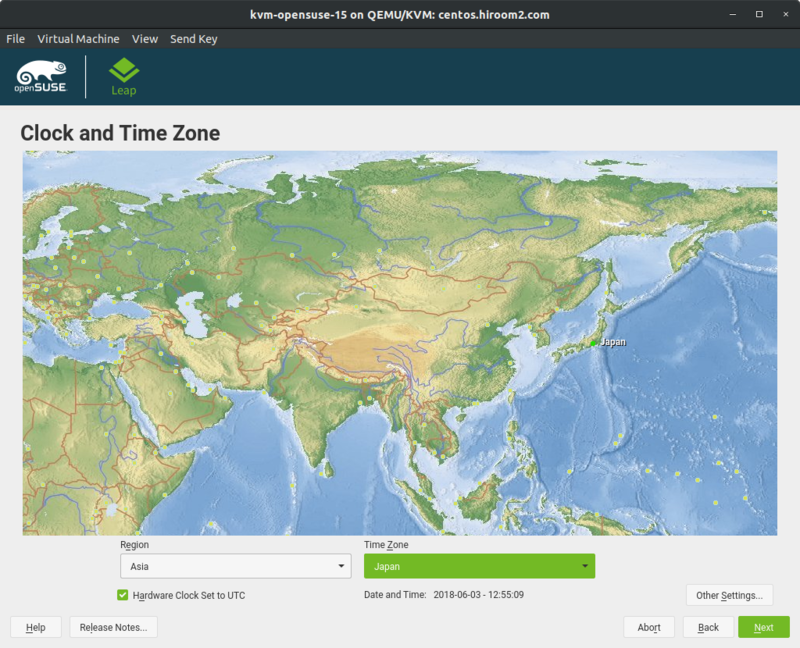 OpenSUSE Leap 42 provided firewalld too. 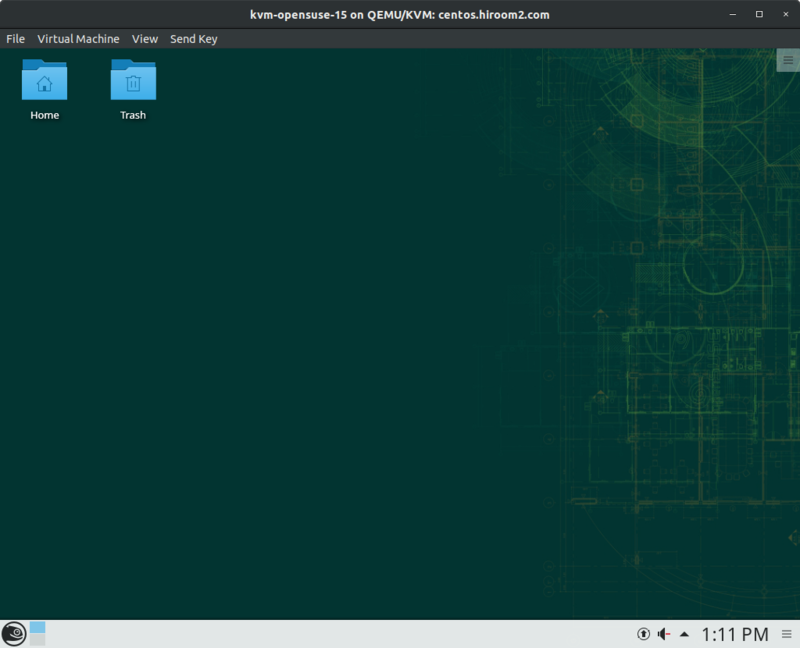 But clean install of OpenSUSE Leap 42 installed SuSEfirewall2 by default. 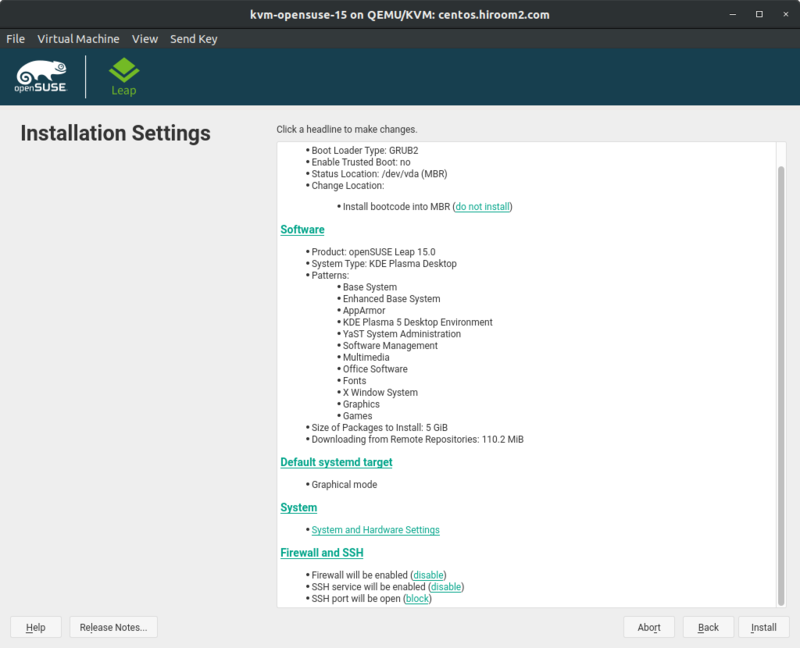 Clean install of OpenSUSE Leap 15 will install firealld by default. 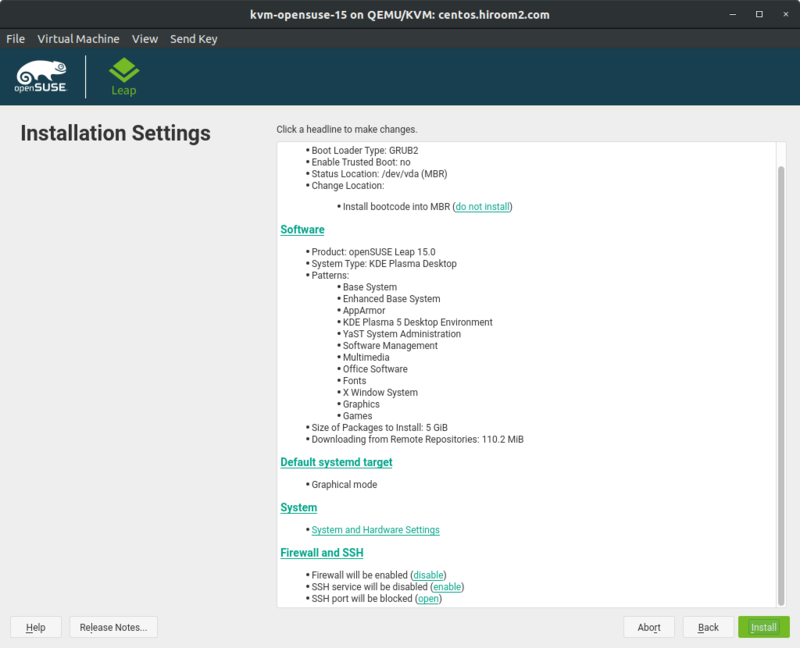 OpenSUSE Leap 15 provides SuSEfirewall2 too.